Mezzanine lenders have a strong appetite to put out new loans in the current market. A lot of mezzanine lenders have raised new funds and are open for new loans. Many companies need capital to fund growth. Given the low interest rate environment, most companies want low interest rate loans – 4% to 5%. Unless a company has solid assets to lend against, they will not get a low interest rate loan from a bank. Yet, the interest rate on mezzanine loan of 12% scares them, as it appears unaffordable. This creates a gap – mezzanine lenders wanting to make loans but business owners scared to take them because of the price. Attract Capital to the mezzanine funding rescue! 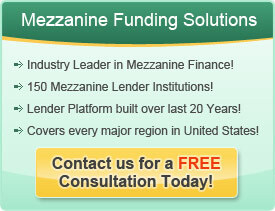 Mezzanine loans are more expensive than bank loans but they are much more beneficial than bank loans. Mezzanine loans are against cash flow, not assets, so you will get more money than a bank loan. Also, the principal repayment for mezzanine loans does not start right away – it is delayed two to three years to give the company the ability to use the extra cash. So you can do MUCH BIGGER things with mezzanine funding, leading to much more dramatic growth. Looking to buy your competitor, mezzanine funding can fund that. Looking to build your cash reserves to spend more money on new products and marketing, mezzanine funding can fund that as well. Have we whetted your appetite for mezzanine funding? We hope so!